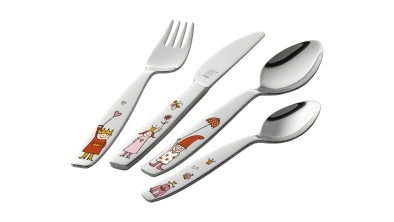 Whether with embossed motifs, neutral design or colourful images – ZWILLING Kids has something that's sure to delight little ones. 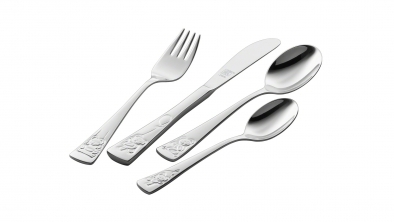 All ZWILLING Kids flatware made of 18/10 stainless steel, has been specially designed for little hands and is dishwasher-safe. 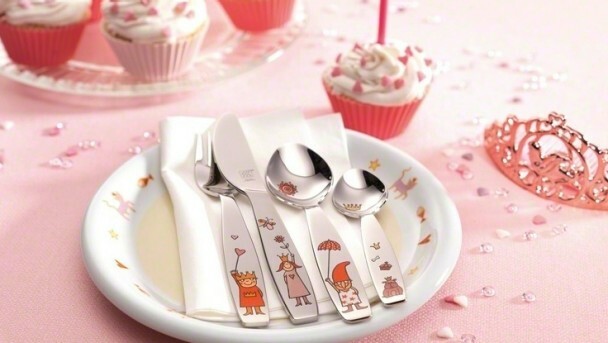 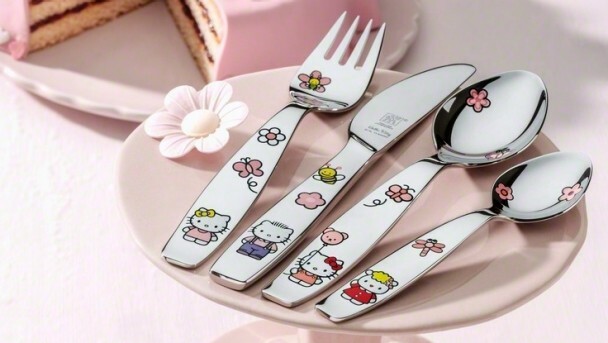 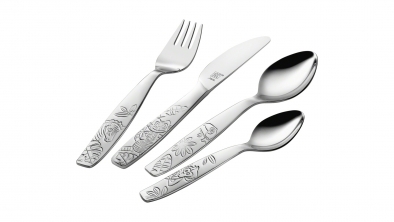 The sizes of the items of flatware are perfect for little hands and children's motor skills. 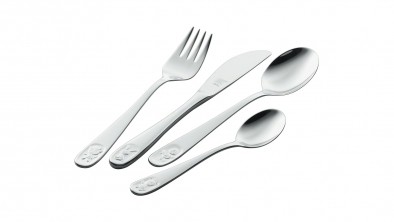 The strong handles make it easier for children to learn how to use a knife, fork and spoon. 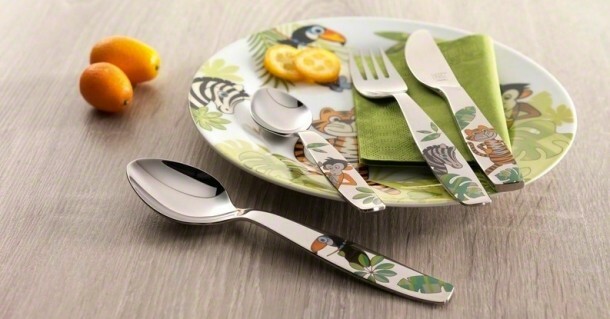 The short and blunt prongs of ZWILLING children's flatware have proved themselves to be perfect for small mouths. 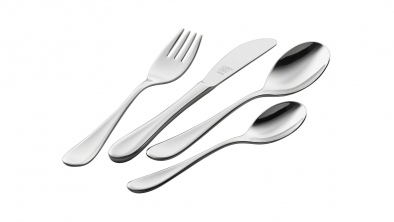 The small knives in all ZWILLING children's flatware sets are safe to use. 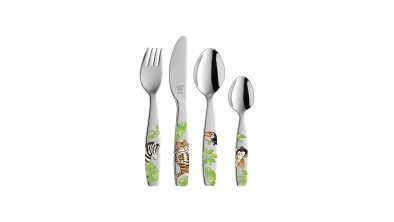 They are blunt and have no serrated edge. 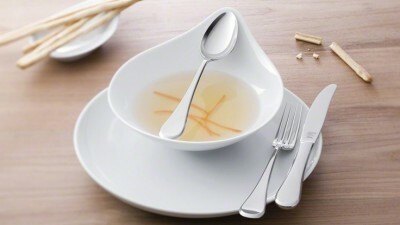 Food can be effortlessly pushed onto the fork or spoon. 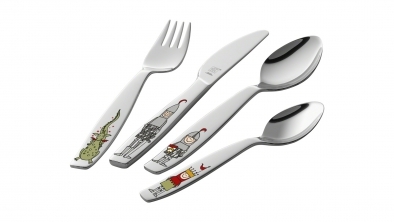 ZWILLING children's flatware ensures that little ones love eating at the table. 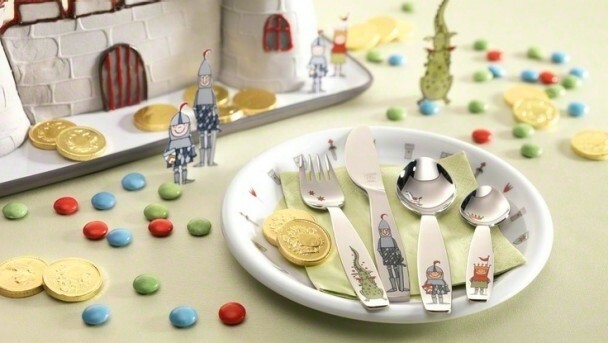 The colourful images are durable and dishwasher-safe. 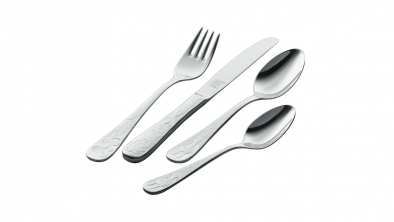 The edge of the bowl with its rounded and polished edges meets all ergonomic and safety requirements. 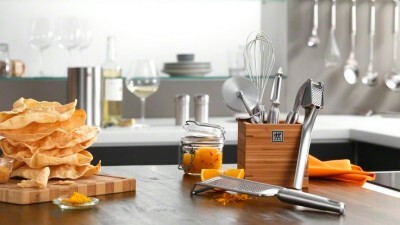 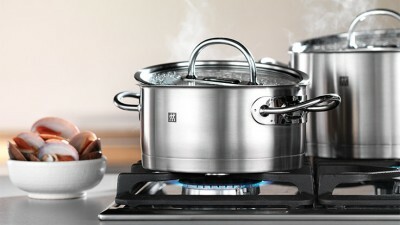 ZWILLING offers practical and stylish storage solutions for you and your modern living kitchen.